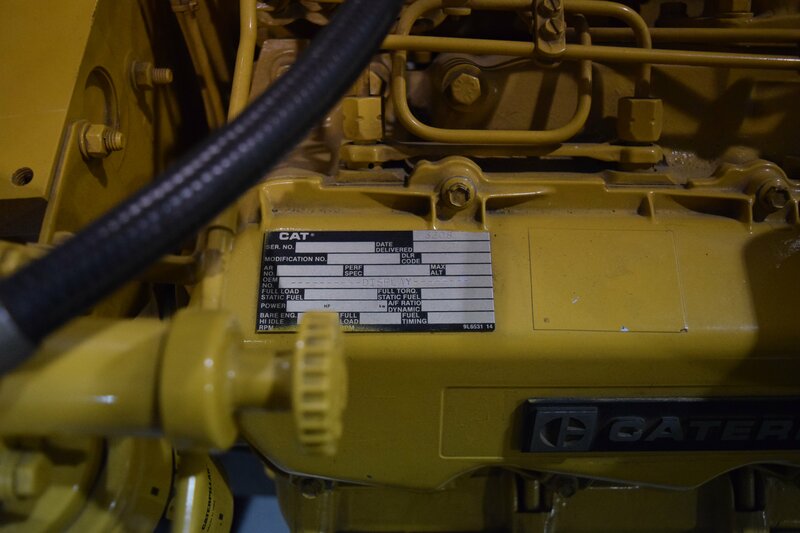 Most engine serial numbers can be found on the dataplate, which is typically on the driver side of the valve cover. As you’ll see later in this article, the dataplates for a certain type of engine can be found in various places depending on the model. However, Caterpillar is pretty consistent with their location. It’s a little hard to find something when you don’t know what you’re looking for. We get people that try to give us part numbers, casting numbers, or even VIN’s instead of ESN’s, simply because they don’t know what an engine serial number should look like. All Caterpillar ESN’s have a similar format, which makes them pretty easy to identify. They all begin with a three number/letter prefix, which is then followed by 7 digits. The prefixes will correspond to a particular model, and usually to a certain subsets of the model. For the more popular prefixes, people will sometimes refer to their engine by the prefix rather than the broader model. You may have heard someone say, “Oh, yeah, my 6NZ runs like a champ.” A 6NZ is a common prefix for a single-turbo C15. Some prefixes even have reputations. For example, a C15 with a prefix of MBN is known as a Bridge motor (because it was the bridge engine from the mechanical C15 to the electronic C15 ACERT), and is often critiqued heavily. As much of a pain as it can be to find and identify your ESN, it’s incredibly important that you do it when you go to order parts. Giving us your engine serial number will guarantee you get the right parts for your engine, because we can look it up to figure out what your engine was originally built with. 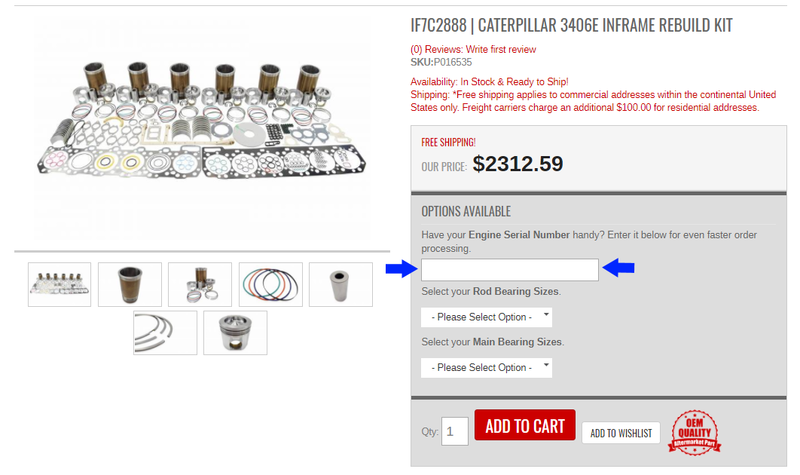 You will see that when you enter some of our product pages, there is a box under our price with the available options. One option field that appears is for your Engine Serial Number. While you’ll be able to place an order without inputting your ESN, you will get a call from us asking for it before we will actually be able to get your order processed. And that just slows everything down. Got questions? We've got answers! The staff at HHP has over 65 years of combined diesel experience. Give us a call at 844-215-3406 if you have any questions!